Why choose single source protein? We keep banging on about how great our sausages are and how they are single source protein. But, you may ask, what is a single-source protein and how will it benefit my dog? Single source protein means that we only put one source of meat into each of our varieties. Often in wet dog foods, manufacturers use mixed meat sources to help reduce the overall cost by adding cheaper sources of meat to more expensive ones. Or to try and increase the palatability when using poorer quality meat or animal by-products. At Meatiful when we say duck, we mean duck! But, why does this pose a problem? Well, if your dog suffers from specific meat allergies, then it can be challenging to find foods without that meat in it. 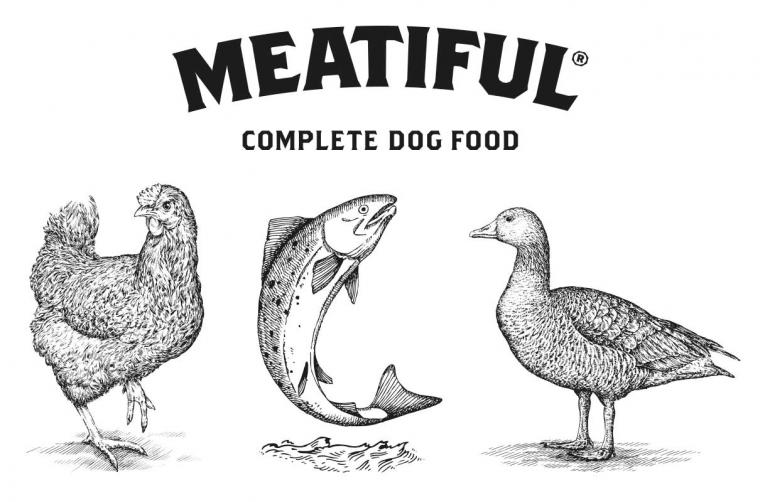 Meatiful uses only single sourced protein in all varieties, so it’s perfect for those dogs with meat specific allergies and intolerances, allowing them to have more variety within their diets. Single source protein foods are also much easier to digest than mixed, so Meatiful is perfect for those with sensitive digestion, and can be used as an elimination diet to help diagnose potential food allergies due to the limited high-quality ingredients in the product.